As is probably the case with many of you, I have spent the first three months of 2019 reeling from the continual and deepening insanity that has gripped this country in just about every area of life. We can only hope that there will shortly be a huge outbreak of common sense, although, the way things are going, acts of common sense in this country may soon be viewed as acts of criminality! However, I am determined that the chaos, ineptitude and downright jaw-dropping events and attitudes sent to try us on a daily basis, will not dim my enthusiasm for meeting fans – although you wouldn’t think it, given the rather short list of events I have committed to attend! I am currently waiting for some scheduling confirmations and as soon as I have these, I will be in a position to confirm some more conventions. 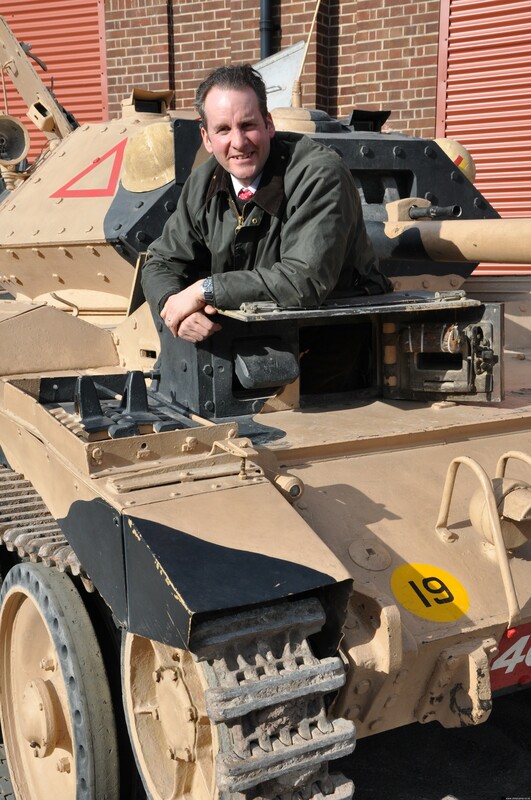 So, as things stand at the moment, I can only confirm…..
During the summer of ’17, I was asked by Major General Peter Gilchrist CB, then Chairman of Trustees at the Tank Museum to be an Ambassador for the Museum. Of course I accepted without hesitation. 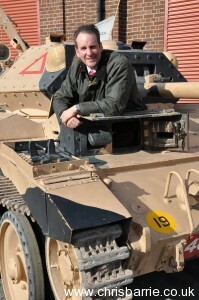 I spent some excellent days filming there for the ‘Massive’ and ‘Britain’s Greatest Machines’ series, unbelievably, some 10 years ago now and I very much look forward to continuing to promote the Museum. In Tankfest 2018 I was honoured to be given the opportunity to drive a Daimler Dingo armoured scout car in one of the vehicle parades and the mock battle – great fun! As usual I must apologise for not responding to emails. Thank you so much to all of you who have taken the time to write to me with such positive sentiments. Suffice to say I am most grateful for your kind comments about all the shows and I will try my hardest to keep tabs on and eventually respond to Comic Con requests. I have also received emails requesting my involvement in podcasts but frankly, I am not overly keen to participate. 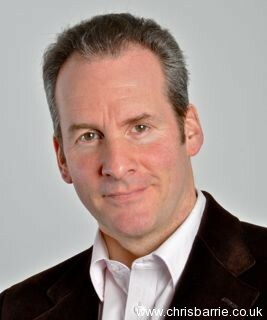 I do not have Twitter or Facebook accounts, so if you do see or hear of a Chris Barrie on either of the two, it definitely isn’t me. As I have said above, I struggle to keep up with the webmail, without wanting to further disappoint anyone on social media. SSAFA (The Soldiers, Sailors, Airmen and Families Association) has been serving the armed forces community for more than 130 years, making it the oldest national tri service charity. Every year SSAFA staff and a team of volunteers help over 60,000 people whether they be WWII veterans or young men and women who have returned from Afghanistan. I recall my father being involved with SSAFA in the 70′s and early 80′s, so when it came to finding a charity to support, the choice was straightforward. In 2018, thanks to your generosity at conventions, the total raised for the charity was £3386.28. Once again, many thanks for your generosity. A word on the welfare of our ex-service personnel as it currently stands. The number of these people who are now homeless runs into the thousands, PTSD and mental illness generally are on the rise and, most shockingly of all, suicides appear to be on the increase. This is almost unbelievable when you consider that the people I am talking about here are those who have been prepared to make the ultimate sacrifice for this country. I am old enough to remember the days when soldiers, sailors, airmen and veterans were prioritised in Britain, a time when they commanded our utmost respect and a time when we were proud to celebrate our Armed Forces. We are now living in very different times, where, in some quarters, pride and respect for our Armed Forces is non-existent, a time when serving and ex-service personnel feel unsafe in their own country and a time when, it is not unreasonable to suggest, these fine people are a very long way from the top of the Government’s priority list. Indeed the appalling treatment of our veterans is nothing short of a national disgrace and that is why the role of SSAFA and other Charities has never been more important than it is today. And, the way things are going, this will be the case for the foreseeable future and beyond.